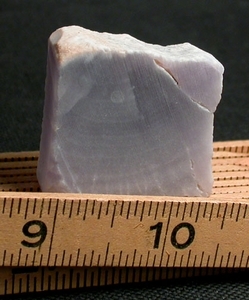 This fine 1/2x 1-1/2x 1-1/2" hand cut example of translucent, rare yttrium fluorite showing two naturally botryoidal sides. Self-displays. Keep from direct sunlight to preserve the deep lavender hues.